The RAAF will buy 10 Alenia C-27J transports to fulfil the AIR 8000 Phase 2 Battlefield Airlifter (BFA) requirement, Defence Minister Stephen Smith and Minister for Defence Materiel Jason Clare have confirmed today. The announcement – which comes just 36 hours after the 2012-13 federal budget confirmed the RAAF’s eight remaining C-130H Hercules would be retired early as part of Defence’s contribution to government’s plan to return to surplus – has been a long-time coming, with AIR 8000 being active for more than 12 years, and the previous AIR 5190 running for more than a decade before that. The BFA will fill the requirement left vacant by the retirement of the last remaining DHC-4 Caribou tactical transports in December 2009. “The C-27J was assessed by Defence as the aircraft which best met all the essential capability requirements and provides the best value for money. It was assessed as being able to fly further, faster, higher while carrying more cargo and requiring a smaller runway than the other aircraft under consideration, the Airbus Military C295,” a ministerial statement reads. The statement also cited RAAF claims that the C-27J can access nearly four times the number of airfields in Australia than the larger C-130J, and double the number of airfields in our wider region, as well as being able to operate into softer or unprepared fields. The new aircraft will be based at RAAF Richmond west of Sydney with a resurrected 35SQN – which was disbanded in 1999 when Caribou operations were consolidated with 38SQN – under the command of 84WG. The aircraft and associated spares, training and equipment will cost about $1.4 billion. The first RAAF C-27J is due to be delivered in 2015, and initial operational capability is scheduled for late 2016. Australia requested pricing for 10 C-27Js through the US FMS process late last year. About time. Good choice. Better choice. Surprised it wasn’t announced before the budget cuts. Interesting to see what happens to 38sqn since 35 is being stood back up. Perhaps those King Airs are just too useful. I don’t get it……. 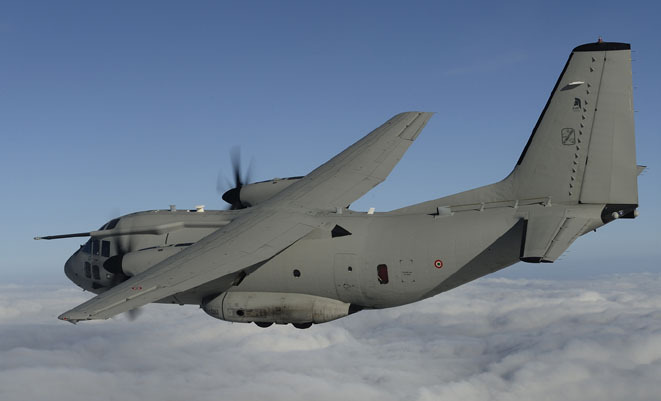 “Defence will seek a separate agreement with the C-27J manufacturer, Alenia, in order to ensure that RAAF can operate, maintain and modify the aircraft throughout its planned life.”……….the buy is confirmed but the maintenace is not? Airforce will never give up the Kingairs as 38SQN, as Pez said, they are just to useful. Good – buying via FMS. That means DMO won’t stuff up the acquisition. First time I ever saw C-27J doing aerobatics during the Avalon Air Show last year. Oh whoppee. We’re retiring the C130 H early to buy these. How about keeping the C130H and buying more Chinooks to ferry the supplies to the battle field from the C130H capable strips? The Chinooks don’t need airstrips at all. I’m sure the C27 is a nice LITTLE aircraft. Mike, to answer your question, the C-130H is getting old and costing more to operate. The C-130H cost approx. $6300USD and hour to operate and the Chinook approx. $9000USD an hour to operate. The C-27J cost approx. $2100USD an hour to operate. Outstanding choice by the RAAF!!! excellent, just what we need to go into battle with – we can wow the enemy with our aerobatics skills…. Ten? Only ten? When we’re retiring eight C-130Hs? We’d better get a few more C-17s then, or a second buy of C-130Js. Unless this is just the beginning… I can imagine since Alenia lost the US BFA contract they’ll be pushing C-27Js on every operator they can think of. As an existing operator we’ll be a prime choice, and Alenia’s sales people will be making us offers we can’t refuse. Trouble is, Boeing are doing the same with C-17s… competition might hot up a bit. Don’t be fooled, the 350 Kingairs have their own airframe lifing issues……The RAAF don’t dictate, the bean counters are the ones looking at the overall cost vs adaptability of weapon platforms. Inability to land on soft or unprepared strips is a significant draw back of the B350 that wasn’t suffered by the preceding B200’s. If you are locking yourself into a VIP/shuttle type airframe using paved strips ,then there are several jets that will also be equivalent $$ per hr but achieve a significant time saving and improve pilot and navigator training along with a higher likely hood of aircrew satisfaction leading to staff retention. Why wait to 2015 to get these aircraft; when the USAF are retiring 12 at the moment from operations in Afganistan? Sure the government could cut a good deal ! and sure cost the tax payers less, and the squadron be fully operational sooner. Makes sense for 38 Sqn to keep the Kingairs….and sell the C-130Hs the RNZAF at a reduced cost , they will come in usefull over there! The cost per hour paints a poor picture for the CH-47 and C-130H/J. However add to the cost per hour for different airframe training and logistics requirements and the ledger shifts. With the ADF trying to rationalise helicopter types to save money are airlifters no different? And while the C-27 can get into more airfields, just how often do the RAAF have to go there? Are we unable to fulfill tasks on a regular basis becasue we don’t have an airfield to land at with current types? Could we not spend the money to upgrade some of the airstrips to C-130 standard? I’m still not sure this has been thought through. Finally we have a decision, about time. What a surprise they are to be based at Richmond. At least the commonality factor worked in the decision. Operationally, Townsville would be a logical choice as they would be based close to their primary customer, however the commado regiment at Holsworthy will also make good use of them. Sorry, but the suggestion of upgrading all the strips the Airforce needs to get into to Herc standard would be too costly and besides trying to get equipment to build an airfield or upgrade an airfield into the hills of New Guinea would be near impossible. When the RAAF talks about airfield requirements they are not just talking about Australian Airfields but all the airfields in the islands to our north and northeast, A lot of the Caribous` work was done into these semiprepared strips in New Guinea especially during national emergencies like tsunamis and floods, where the only lifeline the people had was the Caribou, Especially up in the mountains where helicopters couldn`t get to. The C-27 will be a good fit for airlift group, As most of the tasking using a half full C-130j can now be passed to the smaller airlifter, And remember the primary task of a battlefield airlifter is to move combat troops and supplies quickly into small unsealed airstrips close to the front from where they are transported by ground vehicles or helicopters to their final objective. Its interesting to read some of the comments here. Why only 10 C27J? Why retire the C130H? Buy more C17’s? * 707 Tanker / Transports – some retired and the remainder on the way out. All in all, a substantial increase in capability over a 10 year period, and also with the range of aircraft available, the right aircraft for the right job too! To me that is a massive change in capability in the space of 10 years. As for the C130H, they were going to be retired in a 3 years from now anyway, so why not save $250m now, better than cutting some other capability that will be useful for many many years to come. 10 C27J’s, that had always been the plan, have a look at the Defence Capability Plan (DCP), the numbers of airframes have been in place for a very long time. More C17’s, yes would be nice, but the numbers have been increased from 4 to 6, so I’m not complaining. And that leaves the 8 KingAirs, maybe the RAAF will find a use, if it can be justified, maybe the leased aircraft will be returned and the remainder handed back to Army control, who knows!! Again we see the government buy the absoilute minimum – 10 C27J’s to replace 28 DHC4 Caribou’s. Yes the C27 can carry more troops and gear, but ten aircraft cannot be in 28 different places. I think you need a bit of a “reality” check on your statement about 10 C27J’s replacing 28 Caribou’s. 1963 – 18 ordered, 1964 – 7 more ordered (1 for attrition, 6 to go direct to Vietnam), 1968-71 – 4 more ordered. Total ordered between 1963 and 1971 – 29 airframes. In 1991 the 21 “surviving” airframes was reduced to 14 operational aircraft. So for the last TWENTY ONE years, I’ll repeat that TWENTY ONE years, there has “nominally” been 14 airframes available, NOT 28 as you appear to be stating. The facts are readily available if you google/search for the information! Still 10 C27J’s is far better than nothing!!! Actually I should have said, (because the Caribou were retired back in 2009), that it was 21 years ago the fleet was reduced to 14.. So for the last 18 years of their operational life there was 14 available. Still the point I was making stands. Col..so you have the money tree in your backyard? The C-27 is better for the Army than the C-295 as it fits the new G-Wagon vehicle. The ADF SOF types must also be fairly pleased a decision has been made a long last. Just reffering to Andy’s answer about selling our hercules to the RNZAF, they’re already starting to get rid of theirs of which some of them are nearly 50-60 years old, The government over those ways are looking for new aircraft to support what airforce they do have. However if any aircraft where sold to the RNZAF, it would probably be the F18 hornets and super hornets. So far the discussion and comments has been about mothballing or selling off hardware – but what about the software? 72 upfront crew 72 more aircrew, ground crew plus 350 qantas maintenance. Pilots alone would have cost us $8 million to train let alone the others. These are all action people, they can’t be mothballed and brought out in 3 years time and nobody has said a word about them. If we took out the human and retraining costs how much will be saved? I believe we’re buying these aeroplanes new because the Italians said they will not service or update any second hand ones we were to buy from the U.S.
At least we have a replacement for the Caribou which will have commonality with some of the parts on the C130’s like the engines. This has to make them a viable and solid choice for the job they have to do. suggesting that someone else is twisting the truth to suit an end purpose when suggesting 28 purchased only equals 14 on line without doing the same to the new fleet is disengenous to say the least. If we buy 10 I’ll be suprised if all 10 are constantly on line and suggest that over their life time I would expect only 8-9 on line on average. If we take attrition into account as well over the expected lifetime perhaps even less again.